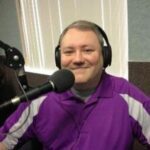 Together with my Top Pair Home Game Poker Podcast co-host Bruce Briggs, I recently had the great pleasure of interviewing longtime ESPN poker commentator Lon McEachern. 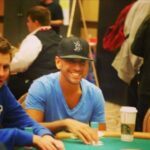 Lon has been interviewed numerous times over his years in the poker world, so we put in a lot of time and effort into doing some research to ensure we asked new questions that would reveal some cool and interesting things about him. We certainly feel that the research paid off and loved having the chance to speak with him for close to an hour. Below, you’ll find the entirety of Episode 291 of the podcast, which includes the interview starting at the 10:12-minute mark. You can also read the transcript below. 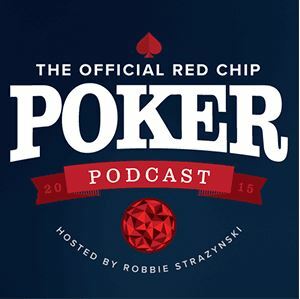 ROBBIE: Welcome back, everybody, to the Top Pair Home Game Poker Podcast, and what a great guest we have for you today. 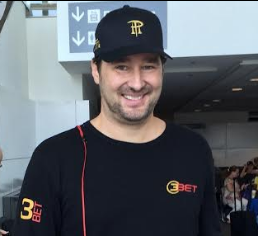 He is one half of one of the greatest tandems in poker; you all know him from his tremendous body of work for ESPN at the World Series of Poker together with Norman Chad. We are talking about none other than Lon McEachern. Welcome to the show, Lon. LON: Great to be here! Thank you, Robbie. Appreciate it. BRUCE: Yeah, we are certainly in your debt, we’re certainly pleased that you were able to break some time away to join us on the podcast. LON: Hi, Bruce, thanks very much. I appreciate you having me, and I’m looking forward to it. I mean, you guys gotta quiz me; I haven’t been on a podcast in a little while so I’m a little rusty. So if I forget names and places and cards and stuff like that, let me know. ROBBIE: Well, you say it has been a while, when actually you have done a lot of interviews and stuff, and a lot of sort of like the basics, a lot of people are familiar with who you are. So we decided that our line of questioning will go a little bit deeper to get to know you a little bit better than just the superficial, oh, you know, we know your name, where you live, all that sort of stuff. We want to go real deep and hopefully see what goes into the amazing work you do, your career, etc. So we hope you know yourself pretty well. LON: You know where I live? Oh my god. BRUCE: Google Maps, it’s a wonderful thing. ROBBIE: Google Maps, exactly. OK, we’ll start off like this: Before you started working for ESPN and doing commentary on the Main Event, did you have any familiarity with poker prior to that? LON: Well, technically yes. I had been hired to do the Jack Binion World Poker Open a year or two before that, and then another, smaller event, I believe, and got to travel to lovely Tunica, Mississippi, and experience all that it offers, and it was actually down kind of where my parents lived. I was actually born in Memphis but only lived there for a year and a half before my family and I moved to California, but so my dad and my mom knew the area. I didn’t know much about Tunica, and everything down below Memphis. So yes, I’d done a poker show, and it was a huge learning experience—it still is—but technically yes, I’d done a show, which pretty much got me I think the ESPN World Series of Poker gig, because the show did air on ESPN. 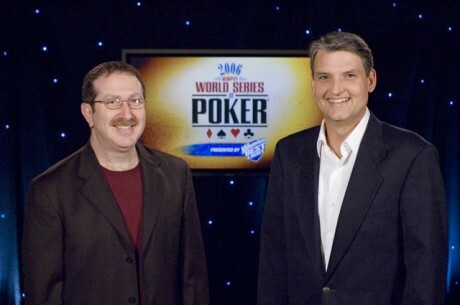 When they got interested in doing the World Series in ’03, I had already done a rough version of the ’02 Main Event final table with Gabe Kaplan. And so they at that point just kinda went back in the archives and saw, we’re doing this new show, who was the last one to do something like it. So I got lucky, they went back to the last poker show they had aired and my voice was on it. I was a known entity to them as well, for several years I’d done a lot of work for them, so they called me up and said they’re doing this little show in ’03, are you available? So, yeah. Technically yes, but no long-haul poker experience. Who doesn’t love listening to these guys talk poker on TV? BRUCE: Had you played poker? Was this a thing that was part of your life, maybe growing up or in college or around the neighborhood or anything? LON: Just as kids, you know, five-card draw, some blackjack, card games. I played card games with my mom and brothers and sisters and all, but nothing that would prepare me for poker. It was definitely jumping into the deep end right off the bat. BRUCE: Never really played in a casino or a card room or anything like that, then? LON: No, I’d never lived near one. I had played maybe some blackjack, you know, either on a summer or winter vacation—I lived not far from Lake Tahoe, and we’d go up there and hit the casinos on the north shore or south shore, but no poker at all, no. ROBBIE: Unbelievable. One of the things that we uncovered during the research, you said that the timing was very fortuitous, then you got the call to go ahead and commentate. But one thing that I noticed is you said that you continued to work as a mortgage banker for five years after the Moneymaker win? Is that right? ROBBIE: This was during the boom years? LON: No, this was just before, actually, just before. So, what had happened, was, the reason I ended up at the bank, TV had always been my career. From college, out of college, out of the gate, that’s what I wanted to do. And I was lucky enough to be able to work in the industry that I dreamed of, and what I prepared for in college. And so all that work went away, I was still having to pay a monthly mortgage, and I had a friend that worked at a bank, and he said if you ever need anything, let me know, and after 18 months of no work, it was decided in my family that I would have to find some work to bring in money! So I took this guy’s offer up to work at the old Washington Mutual, trained as a mortgage lender. It was probably the best time in history, fortuitously, to be a mortgage lender, in ’02. So come ’03 I got a call at my desk, I have no idea how this person whom I’d never met at ESPN had got this number, and they asked—again, they said they had seen the last poker show that I’d aired—and I was offered, you know, I think we did five or six shows in 2003. And they said, Can you do these shows? And I said as a freelancer—if anyone out there is a freelancer, or works job to job, you never say no, when someone asks can you work. And I had a full-time job. I sat down with my wife, and we’d made the painful decision to give up television, after all these years, which I’d based everything on, because we had to. And so I didn’t turn them down, but I said, I need to get back to you, I’ve got to check my vacation schedule at the bank to see if I’ve got enough time off. Because I had no idea; it was only going to be six shows. And so I managed to get the time off; it was a little rough going to work in New York and Vegas, so going back and forth, but the time it took to produce the shows was a little dicey with the bosses and customers, but again, it was only six shows. So we were done, we shot in May at that time, the Main Event happened in May, there was some post-production time, and come July I think probably we voiced the six shows. And so we were done, and that was it. And I still needed work, you know, it wasn’t like I was getting paid per show that aired of Sammy Farha and Chris Moneymaker heads-up. ROBBIE: From your perspective, did you already feel like “hey, it’s one and done, I’m going back to the bank,” but did you feel that you had something special on your hands, at that point in time? ROBBIE: That’s a beautiful story. BRUCE: Yeah. That’s a good representation; you know, a lot of times that happens just when you think your life has turned a corner, you’ve ended a chapter, then something falls into your lap and a whole new thing happens. So obviously, you’re grateful, we’re certainly grateful that you’re getting back to what you really loved and had a passion for, which is your announcing and your TV work. So that’s great. LON: Yeah, it was a lot of lessons learned, it was—honestly, I think every day about that time. I think about going to the ATM and seeing zeroes both on the checking and savings deposit slip for a long time. 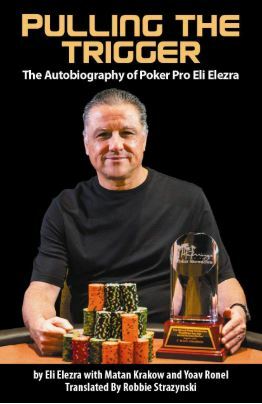 It was not an immediate swing from one thing to another; there was a lot of grinding involved in it and it has a lot of analogies to poker, so I’m very grateful, not to have gone through those times, but the lessons that I learned and the appreciation that I have for what I do now. BRUCE: So what is your favorite thing each summer? What do you kind of look forward to about jumping back in when the next WSOP comes around? LON: Oh, just the lead-up, I think. I mean, like anything, it is the anticipation of what is going to happen, it is—and I was once again able to experience earlier this year, in our coverage of the World Series, we would be in Las Vegas for most of the time. As it evolved, ESPN found out that people mostly watch the Main Event. We did a lot of other events, they didn’t rate very well. It finally just came down to that we’re going to do the Main Event and we’re going to do eighteen, twenty shows of the Main Event, ‘cause that’s what ratings demanded. So when we started getting away from doing all the other events, we were in Las Vegas a shorter and shorter amount of time through the years. 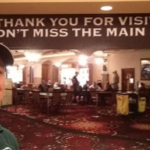 I miss being there for all the earlier events, the thrill of walking around the Rio, and having everybody be so excited in the cash game area and the tournament area, and it was amazing. So finally I was able to, after several years of very short trips to Las Vegas, basically to the end of the Main Event, because that’s what we were covering at that time. This year, with PokerGO and ESPN covering not only the early days of the Main Event, but 18 other events on PokerGO that we called as well, so it was great to be back there for the whole stretch. As Robbie knows, it’s a long stretch, but it takes you a while to recover, but again, it’s like, wow, I can’t wait to do that again. ROBBIE: As you said, I did meet you actually—of course I knew you actually since 2003, and from all of your work, but I got to meet you for the first time this summer. I was working on the bio team for Poker Productions, and that first time I saw you sitting and working near me—can you explain to our listeners here at Top Pair, what does—obviously, once you’re on the mic, you’re on the mic. But what does doing the research on the players entail for you each day, before you go into the booth? LON: Well, it’s waiting for you to be done, for one thing. BRUCE: He’s a slow learner, we cut him a lot of slack. LON: My goal, and the reason I think I was hired by ESPN2—right when ESPN2 started, I became one of their regular field reporters, again, as a freelancer, but another producer that I worked with elsewhere. We started a production company, a sports production company, and we were hired by ESPN to do what was called Sports Night, which was their ESPN2 younger, hipper version of SportsCenter. And it was five nights a week. Sports Night. It was the same thing, but with a different twist. Before the X Games. And so I found myself covering a lot of events and athletes who would later on be stars in the X Games. And so what I was always driven by was trying to find something that other people didn’t know, tried to ask the questions that other people wouldn’t ask, and so I always looked for something twisted, a little unique, a little fun, always with a smile on my face going into it, and hopefully they would be in on the joke and we would present it to the audience. It was always trying to find something unique. And so that’s what I try to do whenever I am involved in a research project. And it’s hard to always do that when, as you say, Robbie, you’re in the booth, and a new player comes to the table, I haven’t got time to talk to them; I’m left in the hands of your capable skills and in the team you work with. Ideally, I’m looking for something different. I’m looking for something that’s beyond how much money they made, which is a pet peeve of mine because how much money they made means nothing about how much money they made, because they could have bought in 50 times to make that money. So it’s just to find something different, find something outside the margins, I guess you could say. BRUCE: And then, speaking of something different, I know you and Norman obviously had the routine and the patter down, and that’s really a highlight of the WSOP is hearing the back and forth and the quips and talking about divorces and talking about team mascots and things like that, but the last little while, they’ve added a third element, the Magician, Antonio Esfandiari, how has that gone? How have you been able to work him in and has it been a positive, and what has that brought to what you and Norman already had? LON: Well, we’ve had Antonio on ever since we were doing the November Nine, but only for those live November shows. And we all knew it was going to be a different world, once we were doing these shows live. In every aspect. And Norman understands—we all understand, not just Norman—we all understand our limitations when it comes to this game, and there are so many nuances and so many insider things that happen that there’s no way we could be part of unless we were seated in that world. And we’re professional broadcasters, Antonio’s a professional poker player. So he’s in that world, he’s done it, he understands it, he keeps up to date with what the latest trends are, and so we knew that he would be invaluable in there. And we both knew Antonio, Antonio basically grew up near where I’ve lived for a long time; my first live casino that I played in near my house was the first live casino he played in, so a lot of people that we knew in the areas we knew, so we hit it off immediately, we all respected each other, and so that just became an evolving project as well, how we all interact. He speaks so well to our ESPN audience, and that’s exactly what we needed. 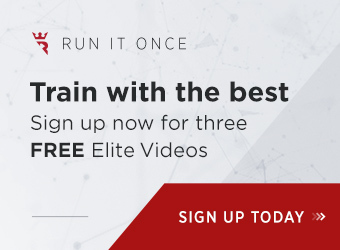 We have so many pros that we could work with and that we have worked with, for instance, on PokerGO, who are just talking to—I shouldn’t say just talking, but mostly talking to an audience who’s very poker-savvy, they’re an active audience tuning in for the long haul, because it is poker and they want detailed poker knowledge. 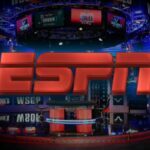 Now, with ESPN, you’ve got such a huge built-in audience of non-poker people, just sports fans. You need to speak a different language to them to keep them involved. 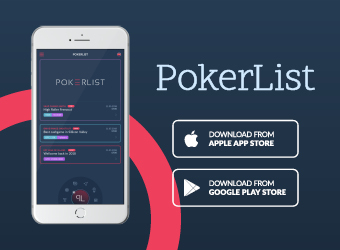 And Antonio can relay the convoluted poker information in such a way in a headline fashion, as it were, to such those people in, let them understand what they need to know, the broad strokes, while trickling in some detailed information for the poker nuts as well. So he’s really walking a fine line to satisfy both worlds, and he’s not going to satisfy everybody all the time. You don’t want to. 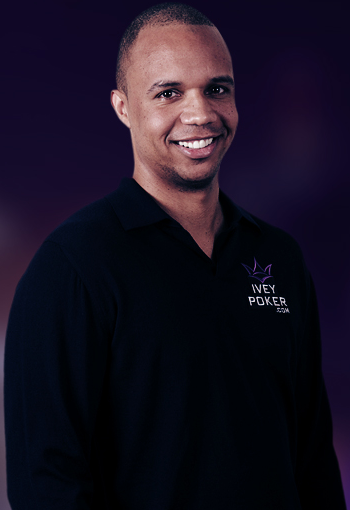 But I think what he’s added in our live shows has just been amazing, and now to be able to do that, in the early days, on ESPN, on ESPN2, on PokerGO this year, it was a real treat to work even more with him from Day 1. Or actually Day 2, ‘cause he played till Day 2, I mean. BRUCE: Right. Lots of jabs going back and forth on that, too, but yeah. LON: He got 100 big blinds in bad. But go ahead. BRUCE: He is very well spoken, very bright, knows the industry, and I think he’s been a great addition. So that’s super. LON: Yeah, I’ve really enjoyed it, and I’ve loved getting to know him and his wife and his family that much better too. ROBBIE: Sure. Well, you’ve mentioned that PokerGO, this was the first year it was on PokerGO, and you did numerous events. How was it different for you this year, with, you know, you just have the thirty-minute live delay at the final table in years past, but this was day-in, day-out, you’ve got thirty minutes. What do you think was like the main difference in the live cut, from your perspective? LON: Well, very different from the previous live shows that we did. I mean, with the November Nine, when we were doing those little live shows that you’re speaking of that we’d done before, we again had so much time to prepare, we knew the players, we had a lot of extra material. Your goal anytime, I learned very early on, I think from a book that Vin Scully had been highlighted in, or maybe Jim McKay from Wide World of Sports, is to bring in the notes that you want, to be able to relay that information—and then to have an event where you don’t need any of those notes, where the live event just carries itself. And so we prepare for a 40-hour broadcast, and we’re only going to use a very small percentage of the notes that we have, if we’re lucky. Usually when we get three-handed and heads-up, we end up using a lot of those notes on the air, ‘cause there’s a lot of downtime in three and heads-up. But anyway, with the shows this year on PokerGO, we were, you’re running into a table full of unknowns. So that’s a real challenge, to be able to find out who they are, in short form, and Robbie can speak to that more, see, ‘cause he was part of the research team. So it was not knowing the road they took to get there, I think that was missing. It was who they are, who their family are, who’s on the rail—besides Chance Kornuth, who’s on everybody’s rail, for some reason, he must back everybody—and then just kind of figure out their place at this final table and who they are individually and their personality. So that’s almost impossible to do, when you’re doing final table after final table after final table at the World Series. And so we try to make it as interesting as we can, try to find out as much as we can about the people. But I think that is just a built-in hurdle that I don’t know how we’re going to get over, other than just, is it an evolving thing, and try to learn who they are while they play. 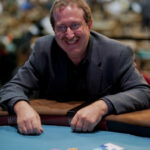 BRUCE: Speaking of different environment, it looks like you’ve started to do some work with the WSOP Europe. How does that compare with your WSOP over here? I guess, again, you’ve got a whole different cast of characters you don’t normally see, and is that like a real change, or is it just the basics are the basics, no matter what? LON: Well, it always felt like, almost like a World Series Circuit event for me. Smaller—smaller venues, smaller fields, but still with an international flavor. You do, though, unlike a Circuit event, you do have a real boiled-down, highly talented field, much the way that I would think some of the middle/early years of the World Series Main Event really was, because you don’t have a huge field, which is a big knock from a lot of people who say, oh, the early guys only played in fields of 10-50, but the talent in those fields was amazing. And so to have to get through the 50 best in the world, obviously it was amazing, and so I kind of get that feel from the World Series Europe events. We did a couple of years in England, we did a couple years in France. We did Germany, which we did not go to; I don’t think it was broadcast here. And then Czechia, or Czech Republic, however you want to say it, this year, and plans are still up in the air for that, so I’m not sure where we’re going to go, so it’s fun. But I always love traveling internationally, getting a feel for where we are, getting a feel for the casino and how things run differently. And you’re going to get a lot more out-of-towners, as it were, a lot more Europeans, and everything’s—you’re the out-of-towner, but you feel like you’re in a group of outsiders, but you are the outsider when you’re there. But I love traveling, I love covering events overseas, absolutely. ROBBIE: When you’re not doing poker commentary, what are you doing the rest of the year? What are you up to? LON: Depends. Things have changed throughout, depending on projects. I did a year of pro bowling on ESPN, and I got back to doing billiards for a couple of years, I used to do a lot of billiard shows for ESPN, and so the tours kind of went away, but then people missed billiards so they were making some kind of one-off tournament-style events, kind of the best of the best showcased in a very short deal, and having some short-form tournaments, we were doing those the last couple of years on ESPN. And then other than that, you know I’m lucky enough to live in beautiful North California, near Lake Tahoe, and doing a lot of skiing, get some fishing in, and some cycling, and just kind of hanging out. LON: I don’t need to be hammering away to find work next week anymore, so I’m really blessed in that regard, and again, I think back to where we were many years ago, and how things have evolved, and I don’t take it for granted. I’m never sitting easy when I’m not working, because I still have that freelance mentality. But I do know that I do have some level of comfort in knowing that I’ve got poker! So there you go. I don’t play a lot of poker, I’m also—I do play more than I ever did before, just because I’ve come to love the game on that level as well. I was lucky enough to be hired by a card room near my house, called Stones Gambling Hall, just outside Sacramento. And so I’m their poker ambassador, I’m there playing poker a lot. They do live streams on Twitch, at least three or four times a week, with their cash games, with their big tournaments, with their live streaming final tables. 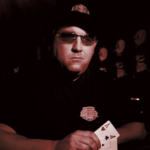 We have Chris Moneymaker come in their several times a year, and Scott Ball comes down, he joined us and plays. 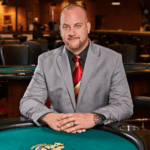 They’re really on the forefront of doing a lot of poker streaming, like Live at the Bike, but better, and so we’re proud to be associated with Stones Gambling Hall because they put on a good show and they’ve got a great poker room. BRUCE: Wow. I didn’t know that about that, we’ll definitely look into that and put a link to that in the show notes if you’re interested in that, or out in that area of the country, stop by and maybe jump on a table with you once in a while, or at least shake your hand and say hello, that’s cool. LON: Yeah, but you have to get their early in the tournaments if you want to play with me. BRUCE: So do you have a favorite event that you’ve done? It looks like you’ve done about everything, as far as announcing the skiing, the bowling, the Tour de France, the X Games—I guess you got an Emmy nomination for your coverage on that, of kickboxing and everything like that. Besides poker, is there another event that’s this kind of close to your heart, that you really enjoy doing some commentating on? LON: Yeah, my go-to favorite event that I’ve ever done was the Tour de France. And at that time in my career, it was the biggest event I’d ever done, so it was kinda like, wow, I got hired to do this, fantastic. So we were a group of four, again for ESPN2, it was new at the time, and so they hired our group of four to travel with the Tour, and to do daily reports back to Sports Night, with the winner, again, with the oddball things that happened during the Tour de France, which is many. But to travel as the riders do from new city to new city to new city for three weeks, and circumventing France was something I will never forget and would love to get back to if I could be so fortunate one day. But that was fabulous; because of the events that I’d covered for ESPN2, when ESPN announced that they would be inventing this new thing called the X Games, it was kind of a natural for me to be part of that. So I worked on the first of three or four summer X Games, and the first couple of Winter X Games as well, I was a play-by-play announcer. That was fabulous because of the resources that ESPN threw behind it, because it was kind of a phenomenon at the time, to watch these strange sports and weird athletes do what they do, and so it’s very satisfying to be part of things that really do take off and become successful, or to be part of something that’s already big, as the Tour de France was. But to be part of poker on its upswing, the X Games as well, during billiards’ heyday as well, did a couple hundred shows of billiards. 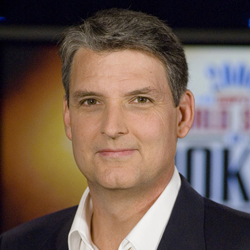 And also when I got hired as the play-by-play announcer for the Pro Bowling Tour, that was a distinct honor because I grew up watching that show, and I have so much respect for the broadcast and a lot of cutting-edge stuff they did in the years, and just the stars that did not only bowl on the show, but that worked the show as well. So to be part of that group, it was very gratifying, very honored to do that. LON: Are you going to say Scrabble, aren’t you? ROBBIE: I’m going to say—yes (laughter). How exactly does one do play-by-play for a Scrabble tournament, Lon? LON: Always. I get asked that question so much, because people just point to Scrabble. Apparently nobody watched it the two years that I did it. It was very similar in style to poker, and it’s funny, I was just with some friends over the Labor Day weekend, and we were talking about it and how we could have done it better. But I covered it two years in a row, the national, it turned out this was an international Scrabble championship, the first one in New Orleans and the second one in Reno and it was very interesting. My career has been to basically be on these, a lot of off, oddball type of sports, where I had to be an expert on drawing the information out of the expert that we hired. So I got to be very good at interviewing athletes, which helped in the broadcast world because I was able to sit there for the duration of whatever show and, Scrabble for one, working with the great Stefan Fatsis, who still writes the sports column for the Wall Street Journal, I think he appears on NPR, but he wrote a book about Scrabble, the inside world of Scrabble, and toured and played with him for a year, and it became a really fun book to read, very insightful. So he was my expert on the show, and it basically became like a one-hour interview session with him, trying to bring out the information that I thought hopefully would be interesting to viewers while the players played Scrabble. It was fascinating to learn who these people are, how the game is played, what could happen. But one thing that I learned, I didn’t know this, is Scrabble is played internationally with the English language. So the official Scrabble dictionary is English words, and the first event I did was won by a guy from Thailand who didn’t speak English. And he had just studied the words. Another first that year was I found out that was the first time in a championship match that somebody had bluffed, and you could bluff. The American guy who was playing the final put out a word that looked like a real word, and the Thai guy, even though he knew the dictionary pretty well, he went with it because he didn’t know the English language, and he got bluffed. And if you don’t get caught bluffing, it’s a good word. So that’s a thing that happened. But you know, Scrabble was an interesting event that, it comes up in this context a lot. Thanks, Robbie. BRUCE: That’s just what I was going to say, was that part of what your broadcast duties were: did you sit there in the booth with a dictionary and so when they put a word down or something that was a little offbeat or far off the map or something, then you could quickly look it up and go “Wow, has that guy got a bold-faced bluff there,” you know, “I wonder what his tells are,” you know? LON: Right? 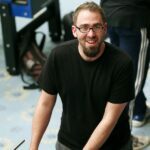 But it does happen, there are some parallels certainly to poker, and what came up this weekend was that, what happens is that, well, Stefan, he was an expert in the game. He knows what words are going to be played, he knows what words he maybe should have played. So that has to happen in a very quiet room, ‘cause you can’t have people in the room, à la poker shouting out hole cards, or in this case hole letters, because we did have a camera on the rack for each player’s letters. So in another part of the hotel and convention center were all the friends and players who did not make the final, and on a big screen is our closed-circuit broadcast of what’s going on and a number of other main experts who did not get to work on the TV show. And they are kind of talking people through and they are having a big Greek chorus, as it were, on what they should have been playing. 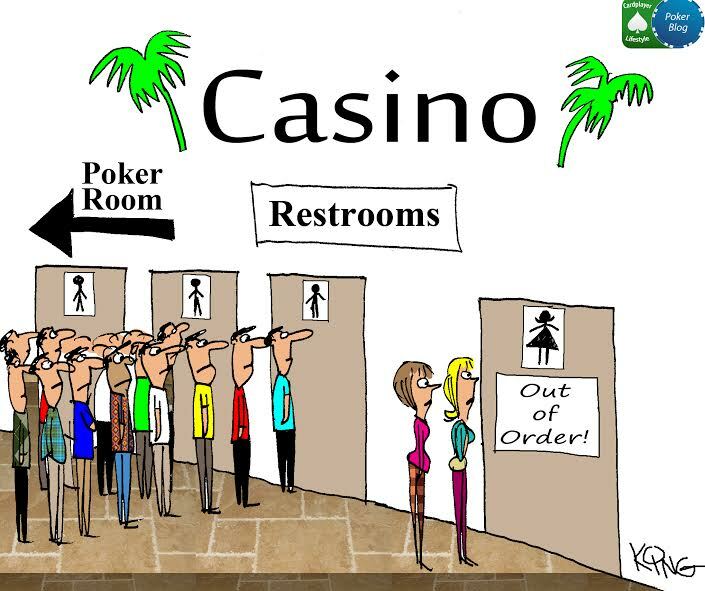 Now what they didn’t think of at the time, they maybe should have instituted what poker brought in, a 15- or 20-minute delay, and every time a player did something untoward or had something lined up on their rack, they would show. Unfortunately, they could hear the huge crowd upstairs, at their cheers, when they were about to or had just made a play. So it might have been better to institute the delay back then, but they didn’t quite think that up. BRUCE: Or have more of a soundproof room, so yeah. LON: Well, you try, but you know, hotels give you what they give you. BRUCE: Sure. Well, you mentioned a bit earlier that before, your buddy and our buddy Norman came along, you actually did some broadcasting with Gabe Kaplan. I know I’ve had a standing challenge here on the podcast, one of our local home game players here in Salt Lake has basically said “I’m not going to listen to your stupid podcast until you have either me as a guest or Gabe Kaplan as a guest,” and he certainly isn’t interesting enough to have as a guest, and try as I might—I haven’t tried real hard, but Gape Kaplan would be a hard get to have. How was it talking to him and doing the play-by-play with him that one year? LON: I was starstruck. I knew obviously his work and was a big fan of Welcome Back Kotter, where he really hit the mainstream. When I was a local sportscaster in California is when Gabe made some very deep runs in the Main Event and so he was covered by the mainstream media, became part of the highlight in July—no, actually in May, I’m sorry. For me, when the highlights came across the network line that I could put on my show that night, I knew he was a player, I knew he was the real thing, and when I got the chance to work alongside him, it was a big thrill. And for everybody in the family; he would call the house every once in a while to check up on things, and whoever answered the phone was very excited to talk to Gabe Kaplan. He knew his stuff! Boy, he knew what was going on, I think he did a tremendous job with the things he did on Game Show Network and his work doing his commentary on his own, and I think he’s missed. 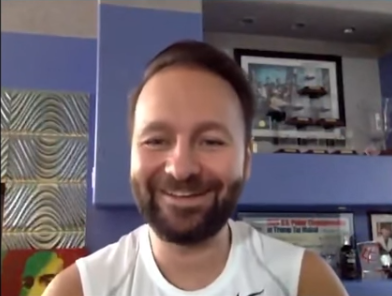 I think people would love to have him come back, and I hope that our boss, Mori Eskandani, who’s a good friend of Gabe’s, I’d love for him to talk Gabe into coming back and doing some shows on PokerGO now that they’re resurrecting some of those shows. And I think he’d be a great add, I think people would have fun with it, and I’d love to work with him again on a show just to throw it in Norman’s face one more time. BRUCE: Oh, I agree. I think watching some of those old shows when he was on there, especially with those old stars that everybody knows, the household names, that was good TV, especially the Stuey Unger one where you were playing outside and the wind was blowing and things like that; those were kind of fascinating shows. LON: That might go down as the worst decision in sports or poker history. BRUCE: Yeah, really, that’s something. Interesting. ROBBIE: Well, Lon, you said that now you do get to play a lot more, especially at Stones, but I think that you would still freely admit that you are a recreational player. As such, do you find yourself kind of like, when you do the commentary, when the Main Event comes around, seeing the stories, do you find yourself kind of rooting for the home game heroes—the Darvin Moons, the Dennis Phillips, and of course this year John Hesp? Or do you just as much as possible keep things professional and sort of commentate without a rooting interest? LON: No, I think our shows have evolved to a point where we can root for people, and I owe that a lot to Norman and him bringing that bend to our announcing. Early on, I would have gone with more of a straightforward thing, but as the game has evolved, as the viewership has evolved, as Norman’s and my relationship in the broadcast booth has as well, we’re one of the constants. And I’m not saying this in an egotistical way, we’re the year-to-year, we’re the hosts, it’s just the way it’s played out for the World Series every year, so people know us and they seem to like us and respect our work enough that, once you have that, there’s some built-in leeway to where you can go. It’s almost like you can say anything, and because he said it or I said it or somebody said it, if you trust them enough, you’ll go with it. If that were the first thing they’d ever heard out of my mouth out of broadcasting, they might go, oh, I’m never listening to this nut again. But you’ve earned respect, you’ve earned a cushion from them, they know the nature and the flavor of the broadcast, so we can go in a direction of rooting for a John Hesp, rooting for the local guy, for the Darvin Moon, because in the big picture we feel that is good for the game, and what’s good for the game is good for the shows next year. It’s good for the people watching, it’s good for the people who want to get into poker as well. 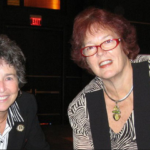 So we try to paint our broadcasting for the good of the game, for the good of the novice people out there, for the women—get the women back into poker and get them coming out more, and so it’s a bigger picture more than just what’s happening at the table. It’s what is poker about, what is poker about in your hometown, in your local card room, how can we make this better for everyone. BRUCE: Good, good perspective. Well, we did, as we’ve mentioned a couple of times, have your cohort Norman on a couple of months ago, and a great interview, and we asked him a question, and we’ll probably put you on the spot for the same question. If you were to come up with an ideal Main Event final table, you know, five or six people, who are the characters you’d like to have be on the table, and the best characters who would really attract an audience? So if you had to make a pick, what would that be? LON: Well, I think what we saw this year was pretty close to what I would say is ideal. Even leading up to the last couple of tables, where you have people who are known entities to the final table, with the chance to make an improbably repeat appearance, at this final table where you have people who are amateurs, who are in it for the first time, who just have not played that much live poker at all, and they have a chance to take it deep à la Chris Moneymaker, and you’ve got the characters—again, perfect to the point of, the older character who, thank you, John, for speaking English, John Hesp, that helps a lot, having that. And I think the only element, and I think just spur of the moment, that I would add, would be to have a woman or two at the final table as well. And so we got real close this year to having what would have been the final table, with established pros and newcomers and old-timers and older folks and young players and amateurs, and so. It was real close to my ideal table this year, I just want to add the women, because once you get a woman back at the final table, that could change things. I’m hoping to see some sort of John Hesp effect next year at the World Series, and I really believe that the women are a forgotten market in poker. People talk about it a lot, but not enough is done to make them welcome at the local card rooms. BRUCE: No, I agree. Someone’s got to break that glass ceiling, so to speak, so I totally agree with you. I’m always pulling for them, so. ROBBIE: Count me in as well. And I guess this is sort of our last question. Everyone knows so much, the overwhelming majority of your story, the body of your work has been commentating on no-limit Hold’em. But from what we’ve read, your favorite game to play is Omaha Eight or Better. So, first of all, are we correct? LON: Yean, I love playing it. I don’t understand it as well as I probably should if I’m going to say it’s my favorite game, but I really enjoy playing it. The first event of Omaha Hi-Low they put on at Stones I actually won, and I didn’t actually get back to play—I was traveling in the next month or so, and not enough people showed up and they dropped it, unfortunately. But I love it, I love the—I guess it’s because I’ve always been a personality that hates to do one thing at a time, and so while I’m sitting here, I’m not going to tell you exactly what I’m doing, but I’m busy, and I’m doing something with my right hand and talking to you with my left hand, so it’s hard for me to do one thing at a time. I have to be in constant motion, and so I get that feeling when I’m playing Omaha Hi-Low specifically, because hey, two ways to win the pot! Why not? I need all the chances I can get to win the pot. BRUCE: Well, that’s great. I love that game too, so we play a lot of the mixed games and things at our home games. LON: Yeah! And then they get into Big O. Don’t get me started on Big O.
BRUCE: That’s a suicide game, man. Especially with the mixed games we play, it’s like the choice for the last hour of the night is Big O and we call it Break Even, or Get Even game. You know, if you’re down, Big O’s the game, you can make the big swings. LON: Try playing it with two boards sometimes, come on, Bruce. BRUCE: Yeah, no, we’ve had a few—it’s not for the faint of heart, definitely. BRUCE: Well, Lon, we certainly do appreciate you taking a lot of time with us, and we’ve enjoyed every minute. We could probably go on and on, but you’ve been very generous with us, and we appreciate your time. Before we let you go, anything else you’d like to tell our listeners that you’re involved in? We’ll definitely reference the casino that you’re the ambassador for, but any other things in the hopper, or anything you’d like to say to our listeners before we let you go as a guest? LON: No, I would just… yeah, if you’re in the Sacramento area, check out Stones. A lot of people love Thunder Valley, which is very close to Stones, and Thunder Valley is going to be hosting two World Series of Poker Circuit events next month, down the road is Stones; they’ve got an HPT event coming on. They’re the real thing—they’re a terrific room, and I wouldn’t want to work with any other room than them, so hopefully we can see each other. But we’re beginning work on—we are doing, even though we did the Main Event live, we are doing eighteen one-hour episodes of the 2017 Main Event, a la the last 15 years where we do our one-hour highlight versions of the rest of the Main Event. So those we begin working on September 12th, and be working on those for a few months. I’m not sure when those air, but keep an eye on the poker sites and they’ll tell you when that’s going on. 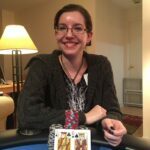 But again, just encourage people to get to their card rooms, to make it easy on newcomers, to make it easy on particularly the women newcomers out there, and we always have to be growing the game, guys. It’s always a grassroots effort to grow this game and to keep it going up at the upper echelons. So keep enjoying it, and thanks for watching. BRUCE: Yeah, we agree. And thanks again for taking the time with us, and we’ll maybe have you back in the future as things develop. LON: That would be fun. It was a great time visiting with you guys, and thank you very much. I appreciate it. Good luck to y’all. ROBBIE: Thanks so much, and to anyone who wants to follow you on Twitter, it’s @LonMcEachern, L-O-N, M-C-E-A-C-H-E-R-N. Is that right? LON: That is it, and I am still trying to become a spokesperson for the Las Vegas airport, which, you know. McCarren Airport, McCarren International. They spell it wrong, but I think they need a spokesman, and I’m your guy. BRUCE: If it’s an audio thing, they don’t know how to spell it, so it doesn’t really matter.